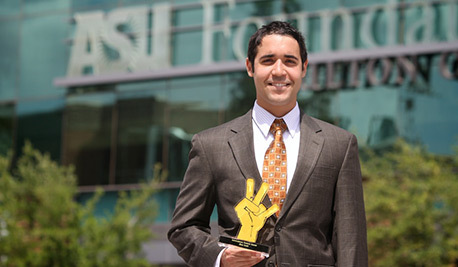 The mission of the School of Sustainability Alumni Chapter Leadership is to advance sustainability within and beyond Arizona State University: facilitating a cohesive network of sustainability professionals; providing insight, service, and support to our alma mater; and through our joint endeavors, to be a voice and a force for sustainability locally, nationally, and globally. Our alumni, faculty, and students are doing great things, and we thank you for wanting to stay involved with our community of leaders, movers, and shakers! Share your story with us and be recognized in our annual magazine, in the newsletter, and on our social media pages. Submitting videos and images is highly encouraged!